Description: Second attempt at imaging the Moon and first attempt at processing. To view the photos in any one of the galleries listed below, click on the photograph to the left of the description. Planets within our Solar System. Celestial bodies such as the Earth which orbit the Sun (and by extension, similar orbiters around distant stars). Counting from the Sun outwards, planets visible to the eye are Mercury, Venus, (Earth), Mars, Jupiter and Saturn. Just take a look at these fantastic images! Images of the sun, taken by members of Hampshire Astronomical Group. This gallery is for all the images which do not fit into other categories. Erratic members of the Solar system, usually of small mass. Luminous bodies, wandering through space, or circulating around the Sun, and visible only when they approach the Sun. They usually consist of three elements: nucleus, envelope, and tail. Images of many constellations, some more familiar than others. From the dawn of time, people observed the sky and grouped stars into patterns or constellations. A cloud of glowing gas in space. The gas is either bright because a close star's light is reflecting off it or the powerful emissions from a star are making the nebula glow. Try looking at the Orion Nebula. It's amazing. 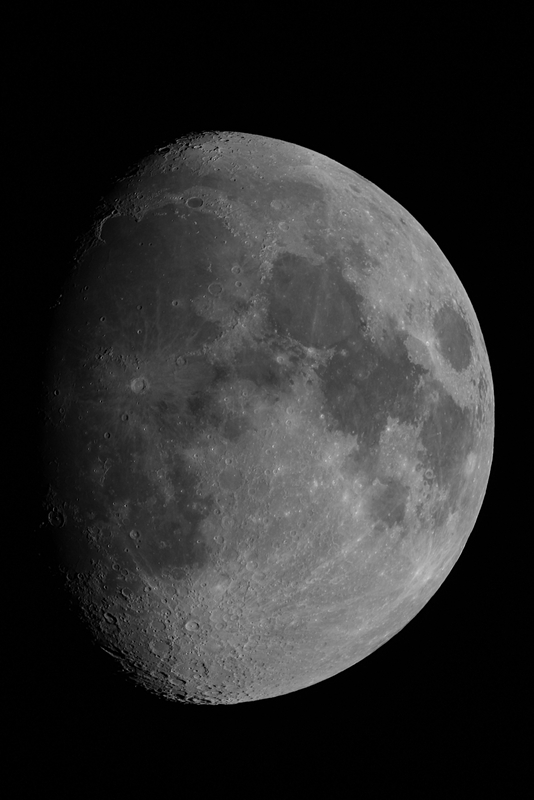 Images of The Moon by our members. The Moon is Earth's only natural satellite. It has no formal English name other than "the Moon", although it is occasionally called Luna (Latin for "moon") to distinguish it from the generic "moon" (referring to any of the various natural satellites of other planets). Images of meteors taken with the meteor cameras at the Observatory, and images of asteroids and meteors taken by members. The study of astronomy using the techniques of spectroscopy to measure the spectrum of electromagnetic radiation. Astronomical spectroscopy is the study of astronomy using the techniques of spectroscopy to measure the spectrum of electromagnetic radiation, including visible light, which radiates from stars and other hot celestial objects. Spectroscopy can be used to derive many properties of distant stars and galaxies, such as their chemical composition, temperature, density, mass, distance, luminosity, and relative motion using Doppler shift measurements. Star clusters are groups of stars which are gravitationally bound. Two distinct types of star cluster can be distinguished: globular clusters and open clusters. Globular clusters are tight groups of hundreds of thousands of very old stars, while open clusters generally contain less than a few hundred members, and are often very young.